Recently I have learnt that the different crafting, cutting, stitching, testing to fitting of a bras is different for every woman, all thanks to Neubodi. 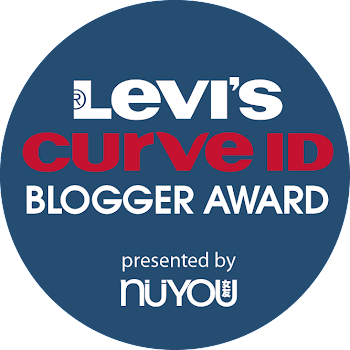 Founded in 2008, Neubodi is a lingerie brand that represents an effortless body transformation through providing the right fit of beauty and confidence for every modern day woman. As the leading bra expert in choosing the right size and cup that fits, you’ll be able to find lingerie to cater to sizes A to I. Neubodi offers one-of-a-kind personalised fitting solutions where the friendly shop assistants will help you get the right fit with the right bra-fitting guide and help you discover the best styles that accentuate body curves ad assets. Find the right fit for yourself and you’ll definitely ooze confidence from within. Grounded as the first ever Bra Fitting Specialist in Malaysia, with the emphasis of giving their customers a professional fitting experience upon every lingerie purchase, Neubodi ensure all our bra-fitting professionals are impeccable at providing a warm personalised fitting solution that includes choosing and sharing the methods of wearing a right-fitted bra, as well as the concept of proper brassiere care. On top of statistical measurements, Neubodi practices a holistic fitting method - an impeccable fitting technique using the ears, eyes and touch. 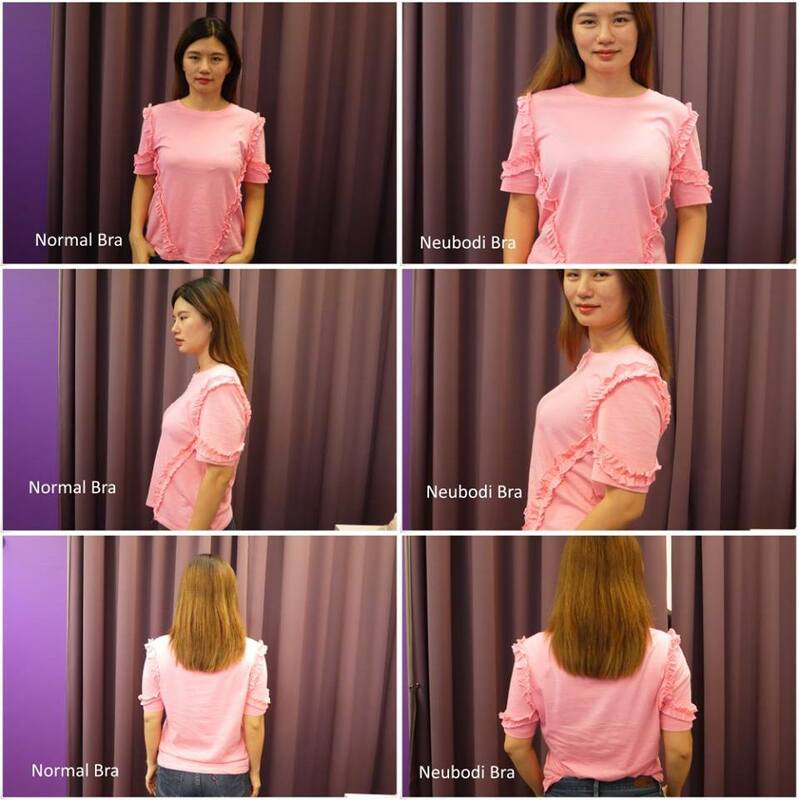 This means that in addition to listening to customers’ personal preferences and expectations, Neubodi would also identify their height, built and posture, hence using a unique hand measuring technique to help them find the right bra that is best suited to their shape. 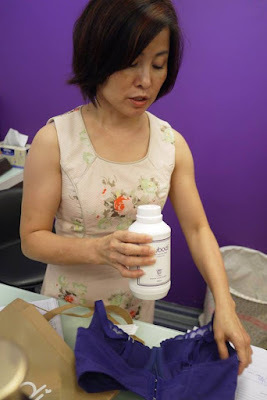 In fact, all Neubodi stores provide a pleasant, inviting ambiance to ensure that every customer feels at home while being personally fitted by our bra-fitting professionals. From lighting to furniture arrangement, Neubodi has placed a great attention to detail to enhance an intimate customer experience. Do you know that each of Neubodi bra goes through at least 45 stages of assembly with over 60 different parts of materials to create an impeccable fit? I bet many of us don't know that. 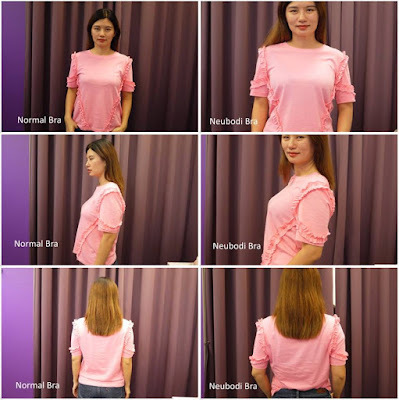 Thanks to Neubodi I have learnt some tips from my recent fitting with the bra expert. I have visited Neubodi headquarter at Kota Damansara to have my first fitting session with the brand. It was a very different experience from other brands that I have tried before. Firstly, the expert doesn't measure by tape, but with her hands. She has correctly identified my breast size and cups using her magic hands, amazing! Then, she recommended the bras that suitable to me. Surprisingly, the bras fit me perfectly. The cutting was just perfect for my breasts, and I felt so good with the bras. She then taught me the right way of wearing a bra. To put on a bra, there are several steps included. You can find out the fit tips from Neubodi website. I felt very comfortable and confident with their bras especially after adjusting it with the tips from the expert. Lastly, she also demonstrated to us how to wash our bras. With these steps of lingerie care, we can wear our bras up to 180 washes. There are more to experience at Neubodi yourselves. 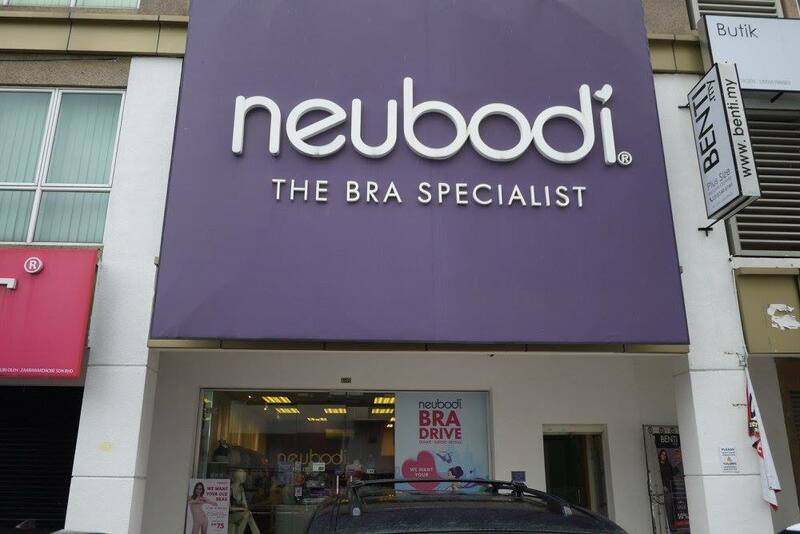 I would urged everyone to try out the fitting session at Neubodi because Every Woman Deserves The Right Bra. The right bra that really fits you will make you look fabulous and feel good. Now, don't just listen but have a try yourselves too. For more details on Neubodi, visit their Facebook Page or their website.